We want to wish everyone a wonderful, safe and enjoyable 2018 Thanksgiving in Chicago and around the world. Today in the U.S. we celebrate Thanksgiving; a national holiday where we give thanks for the many blessings we enjoy (and we truly feel like the most blessed people on earth). Traditionally this is a day where families come together to eat a Thanksgiving turkey feast, and then we watch football until we pass out. It’s just about a perfect day. We have much to be thankful for in our own lives and hope you do too. We also want to thank all the readers who come here day after day, year after year. Without you this place wouldn’t be here. If you’re new here or just drop by occasionally we appreciate you, too. We love bringing you all the free things to do in Chicago year after year and thank you for checking out our advertisers that pay the bills. Thanksgiving is a time to get together with the family and friends. It should be a time to put aside differences and reflect and embrace the things we all have in common. We don’t know what will happen in the coming year that might leave an empty place at the table the next time. Don’t put yourself in a position to have regrets about your last gathering. Let’s also remember those who can’t be with their families today because they have to work or they’re sick or away serving their country in the military. We need to be thankful for their service. 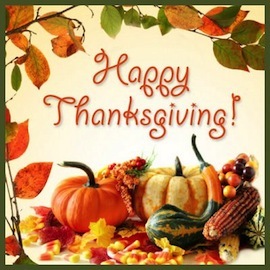 We hope you all have a wonderful Thanksgiving! 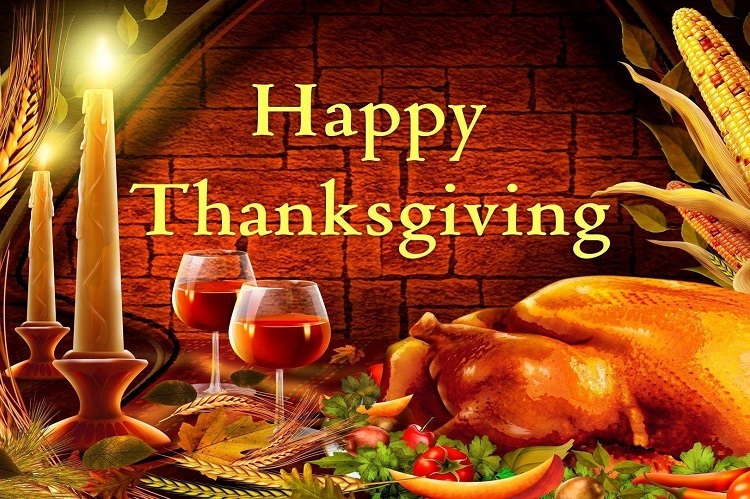 Thanksgiving as a national holiday has been around since Abraham Lincoln decreed it in 1863. Other T-day traditions came later: televised football games, commercial turkey farms, the invention of the two love-’em-or-hate-’em casseroles (green bean, sweet potato). Not much is known about the first Thanksgiving, a three-day feast with almost twice as many Native Americans as Pilgrims. Those Wampanoag Indians were considerate guests who brought along five deer to cook. (Remember that the next time you want to cop out with chips and dip at a potluck.) The dinner took place over a three-day period in October 1621 and may not actually have included turkey, according to National Geographic. Those “wild fowl” might just as easily have been ducks or geese.